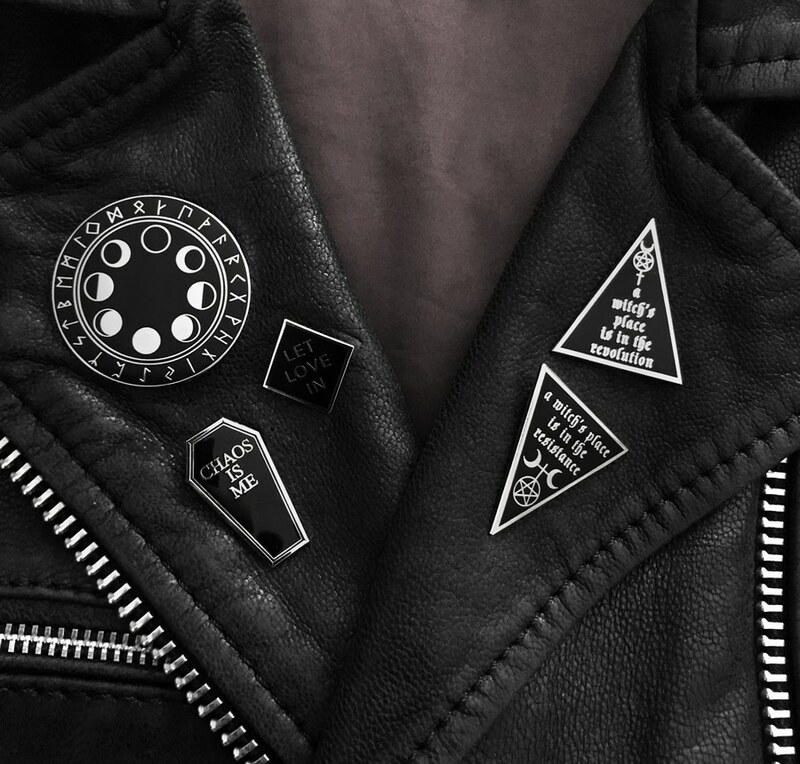 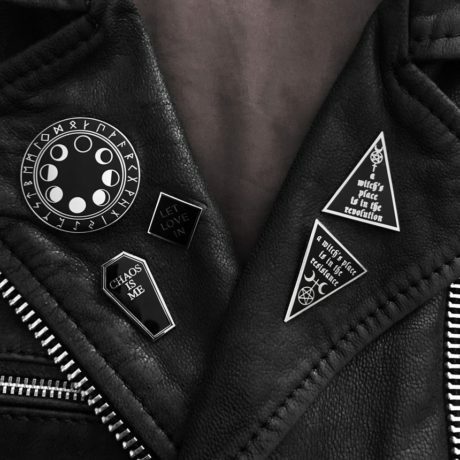 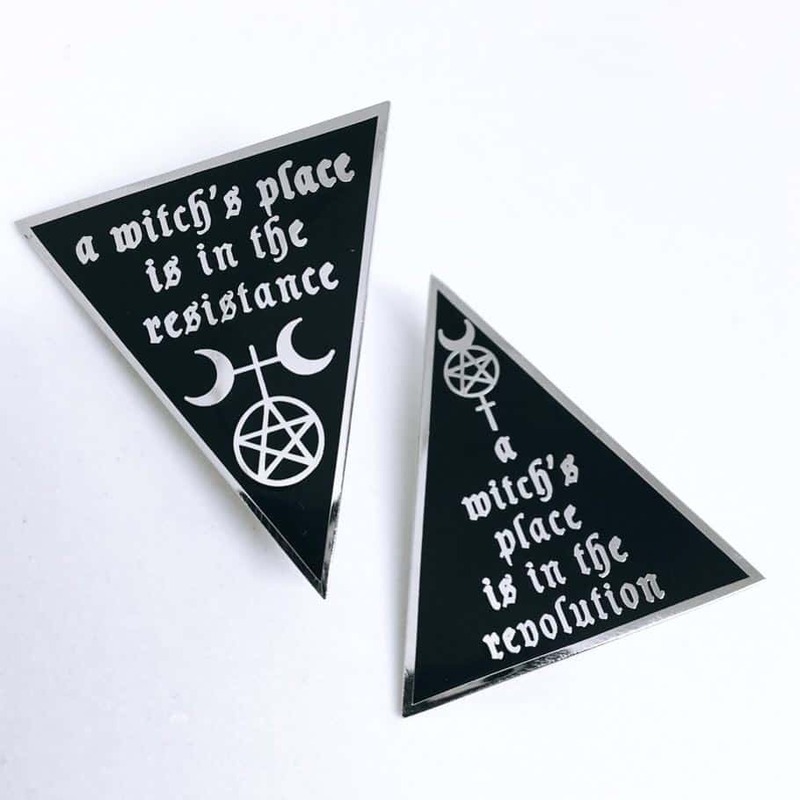 Duo pin set inspired by the current political climate. 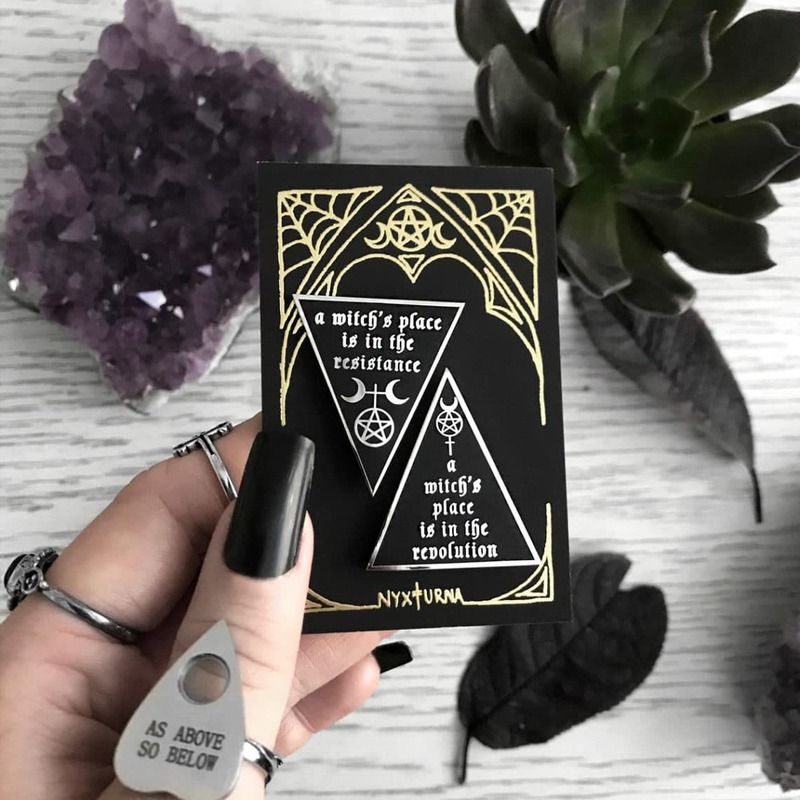 How are you putting your magick to work against the patriarchal forces? “A Witch’s Place is in the Resistance” features the Uranus symbol representing power, chaos, and flexibility in change. 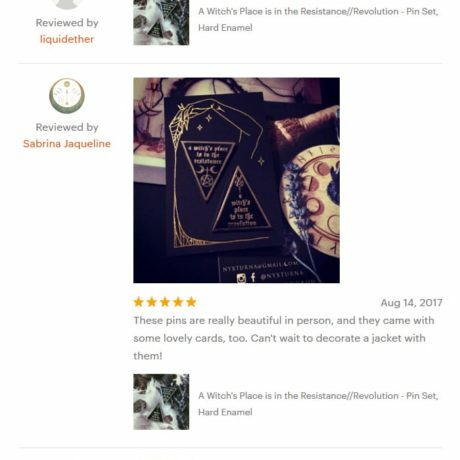 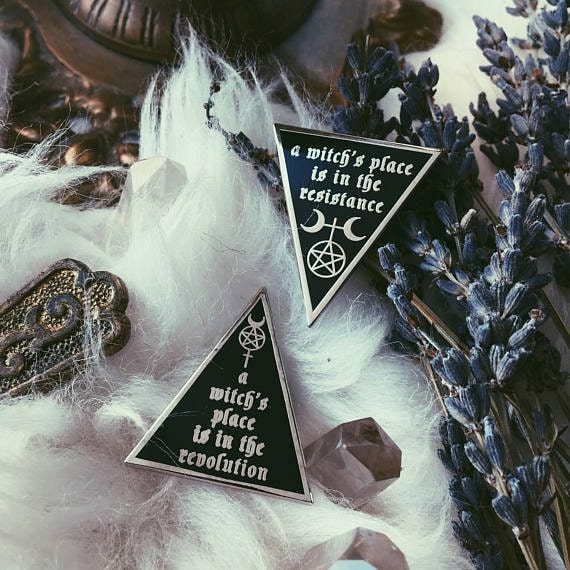 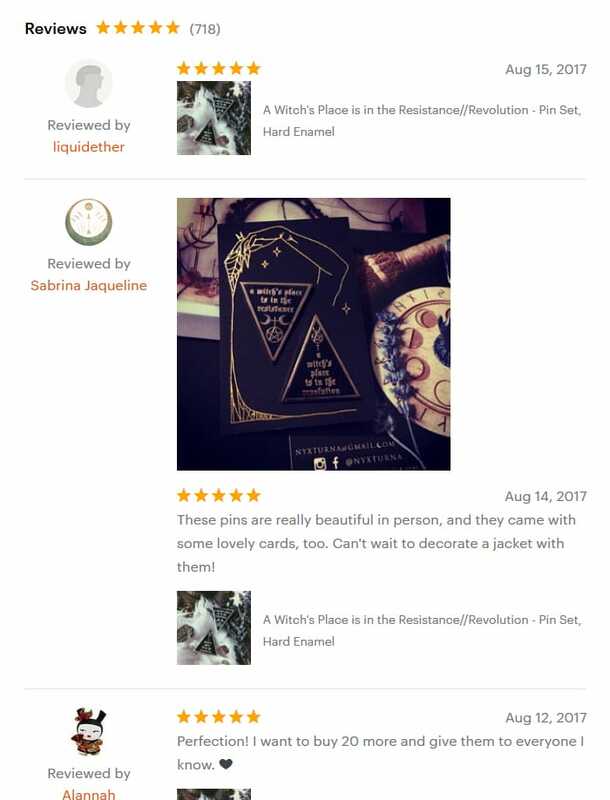 “A Witch’s Place is in the Revolution” features the Mercury symbol representing free thinkers, open-mindedness, and intelligence. 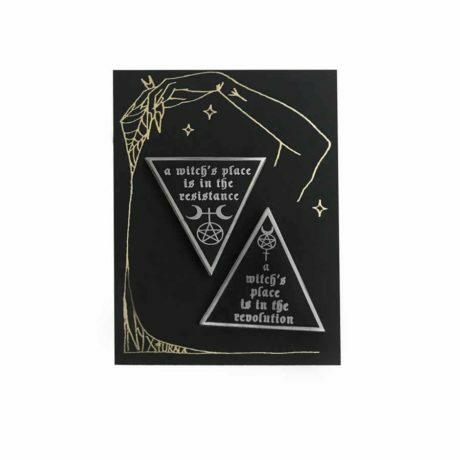 Handmade item by Chicago based artist and queer activist Nyxturna. This design features 1 clasp and Nyxturna back stamp on the back of each pin with a rubber back.